Poster for Vittoria o morte (1913), designed by Pier Luigi Caldanzano. Yesterday night, we finished our workshop in early Italian cinema within the collection of the Amsterdam EYE Film Museum. On behalf of my university, I was co-organizer of the workshop, with Céline Gailleurd (Université Paris VIII, Paris) and Elif Rongen (EYE Filmmuseum). The workshop is part of a large international research project, Le cinéma muet italien à la croisée des arts, led by Céline Gailleurd, and in which various French, Italian and Dutch universities and film archives are united. This two-day workshop brought together researchers of different nationalities, in order to explore and comment on the film and non-film collections related to Italian silent cinema, held at the Eye Film Museum. All these topics were introduced and commented upon by a group of international experts, who also acted as moderators for the discussion with the audience. We worked on a corpus of films preselected by the researchers and the organizers, either presented in their entirety or by use of indicative fragments. Vittoria Lepanto, in Lucrezia Borgia (Gerolamo Lo Savio, Film d’Arte Italiana 1912). First, after introductions by Giovanna Fossati (EYE) and Céline Gailleurd, we had two sessions of 35mm screenings of hitherto little-shown prints of early Italian films, not only full films (only one- and two-reelers), but also a fragment of La vita o la morte, and a weird hodge-podge of nonfiction officially on Rome but in reality, rather showing more of Turin and even the Capitol in Washington. The difference between comic film and comedy became already clear in the difference between the action-driven film Kri-Kri e il tango (which has some weird special effects) and the quite daring situational comedy Acqua miracolosa, starring Gigetta Morano and Eleuterio Rodolfi. The two-reelers were recomposed of multiple original prints. Lucrezia Borgia started as a black-and-white film (due to a part based on an original negative from Paris), and then halfway spurted glorious stencil-coloring (thanks to a nitrate distribution print in EYE’s holdings). Amore bendato combined two incomplete British and Dutch prints in one complete one. We had our share of actors, such as Leda Gys in Amore bendato, and a pre-diva Francesa Bertini in the romantic comedy Panne d’auto. Kri Kri senza testa (Cines 1913), poster design by Marchetti. Our first slots set the tone for the subsequent slots, where discussions were made from the point of view of the close relationship that Italian cinema has with other arts or popular culture, such as visual arts (e.g. with the slot on the Italo-French company Film d’Arte Italiana, moderated by Andrea Meneghelli, Olivier Bohler, and Marion Polirsztok), burlesque (comedy, moderated by Laurent Guido and Emmanuel Dreux), dance (Elisa Uffreduzzi, echoing her fascinating PhD), and theatre (melodrama, moderated by Stella Dagna and Céline Gailleurd). Different acting styles in comedy and drama, and their developments became clear, as well as such topics as recycling in set design, the 1913 tango craze, the role of the family, the monstres sacrés of the stage in film (Ermete Zacconi, Italia Vitaliani), and the discovery of a film like La Madre (Giuseppe Sterni, 1917), considered a counterreaction to Duse’s Cenere, but also a nice pendant to Padre (1912) with Zacconi. A special section was dedicated to Italian non-fiction from the teens, which Luca Mazzei presented with me. Here we had an e.g. fruitful discussion on nationalism and colonialism versus tourism and a craving for beauty, but also on individual cameramen, and on the importance of the Italo-Turkish war for the rise of early Italian non-fiction. A scene from La Madre (Giuseppe Sterni, Milano Films 1917). Emmanuele overpaints the portrait of his model, as he needs it to paint his mother’s portrait. Soeluh van den Berg, finally, gave an overview of the so-called film-related material objects in the EYE Collection, first of all in the Desmet Collection, but also some recently found 1910s posters, discovered under the shelves of a closed down cinema, including e.g. one of Marco Visconti. In a mini-presentation, I highlighted myself the richness, modernity, sensationalism, and originality of the early Italian posters in Desmet’s collection, such as those by designers such as Mauzan, Nicco, Terzi, Caldanzano, Metlicovitz, and others. Our goal was to rediscover this cinema, through an academic confrontation with several disciplinary fields, but also we widely benefited from the presence of various Italian and Dutch archivists to discuss archival issues as well, and the interconnections between these two fields. In the very end, we had two quick visits to the life of a film within the EYE Collection Centre, which Catherine Cormon kindly showed to us, with all the time constraints we had by then, but a real highlight was Soeluh van den Berg’s showing of the vintage paper objects from the EYE collection, including vintage stills, bills with artistic letterheads, brochures, distribution leaflets, and as coup de theatre, the wonderful posters, such as the burning ship on Vittoria o morte, designed by Pier Luigi Caldanzano. Posters for La tutela (Ambrosio 1913) above the entrance of the Rotterdam Parisien cinema (1913). This workshop served as a basis to open research tracks on e.g. the Film d’Arte Italiana and Italian comedians, as a prologue for future research and a conference to be held in December 2019. The debates have been recorded, and thanks to a subvention of the Research School CLUE+ (Vrije Universiteit), will be transcribed and published. I say thank you to all the persons involved in this workshop, which I consider to have been a great success: all the moderators and workshop participants, all the people of EYE Film Museum helping to realize the workshop (in particular Soeluh, Catherine, Hadley and Martin), transcriber Lexie Davis, and of course, the two co-organizers Elif Rongen and Céline Gailleurd. I am co-organizer for this workshop. After presentations of my new book Reframing Luchino Visconti: Film and Art in Rome in March, in Amsterdam in April and in Milan in May, additional presentations followed in June. First I presented the book, together with Francesco Pitassio, at the conference of the American Association for Italian Studies (AAIS) at the Sant’Anna Institute in Sorrento. Though we were a small group, responses were very good, including by Letizia Bellocchio, whose article on Visconti was a key text to my book, and Francesco Pitassio himself. I also gave away the book to a few people who will write reviews on the book: Giorgio Bertellini, Vito Zagarrio and Giuliana Muscio. Next, the book was sold out at the book fair of Cinema Ritrovato in Bologna, and the organisation kindly added a webpage to their site, announcing my book. Here you will also find a link to a filmed conversation between prof. Gianpiero Brunetta and myself on the book (in Italian). Lastly, I presented the Visconti book, together with prof. Agnes Pethö (Sapientia University, Cluj), at the NECS conference Media & Tactics & Engagement, at my own university (Vrije Universiteit/VU, Amsterdam). Again a small but refined audience, with whom I raised the glass afterwards, just before the keynote of Henry Jenkins at the VU Initium Auditorium. Ul till now, reviews have been promised to appear in e.g. Screen, The Journal for Italian Film & Media Studies, Burlington Magazine, Nineteenth Century Theatre and Film, Leonardo Reviews, Imago, and Medienwissenschaft. Here is the trailer for my new book Reframing Luchino Visconti: Film and Art. Editing was done by my colleague Hans Wevers (Vrije Universiteit), selection by myself, the music is Ravel. Last Friday, 20 April, we had the book launch at EYE Filmmuseum in Amsterdam. Kind words by Managing Director Sandra den Hamer, Curator-in-Chief Giovanna Fossati, and Chair of the Research School CLUE+ Prof. Gertjan Burgers, plus an illustrated lecture by myself. Attached a photo of my speech (photo Ellen van Yperen). On Monday 7 May I will present the book at the Università Cattolica del Sacro Cuore in Milan, with a round table with art historian Elena di Raddo (art history, Cattolica), film scholar and Visconti specialist Mauro Giori (Università degli Studi, Milano), and myself. Chair will be Mariagrazia Fanchi. I will afterwards donate the book officially to Luchino Visconti’s nephew Luchino Gastel, his godson and assistant director on Visconti’s Ludwig. On 20 March we had the Italian book launch of my book Reframing Luchino Visconti: Film and Art (Sidestone 2018), at the Dutch Royal Institute in Rome. We started with a trailer Hans Wevers (AVC, Vrije Universiteit) and I had created. Hosted by staff member Arnold Witte, we had an inspiring round table with Veronica Pravadelli (Roma3), Stefania Parigi (Roma3), Matteo Lafranconi (Scuderie del Quirinale), and Francesco Bono (Università di Perugia), talking about spectacle and melodrama, the duality of identification & Brechtian distancing, the recognition of 19th century Italian painting and the recognition of Italian sound cinema under Mussolini. Afterwards I illustrated with images the production of the book and my sources of inspiration, after which I presented the book in homage to Caterina D’Amico, keeper of Visconti’s film heritage, Head of the Roman Scuola del Cinema (Centro Sperimentale), and daughter of Visconti’s regular screenwriter Suso Cecchi D’Amico. The following day I personally gave the book to Piero Tosi (91), while unfortunately Giuseppe Rotunno (95) was too ill to receive me. I was very happy Daniela Garbuglia, daughter of Visconti’s art director was present at the book launch, as well as Nicoletta Manino, Visconti’s niece, Antonella Montesi, editor of the biblioVisconti book series, and prof. Giovanni Spagnoletti from the Tor Vergata university. Bad weather surely scared many people away, but we had a merry night. At dinner ‘en petit comité’, Caterina D’Amico told us many tales around Visconti. On 20 April we will have the intimate (closed) book launch at the ‘Room with a View’ of the Amsterdam EYE Filmmuseum, where I will give a lecture, instead of a round table. Giovanni Fossati, Head Curator, will host the event, while prof. Gertjan Burgers, Head of the Research School CLUE+ and its book series CLUES will give a short speech. After my lecture, EYE’s Managing Director Sandra Den Hamer will receive the book from me. It will also be an occasion to thank all the Dutch people who helped in my research, the production of this book and the organization of the event, first of all CLUE+, the publisher Sidestone Press, and the research school Huizinga Institute. Just as with the Royal Dutch Institute in Rome, I have a long history with the EYE Filmmuseum. I already visited this institution under its first director Jan de Vaal, when following a film history course with Nico Brederoo (University of Leiden). Every two weeks we had four films in a row, shown on 35mm at the small auditorium of the old Filmmuseum in the 19th century pavilion at the Vondelpark, in squeaking, not too comfortable chairs. Filmmuseum then followed the invention of tradition to show silent films without any live accompaniment – a tradition set up by film archives after the silent era, I found out in recent times. You didn’t dare to move in your chair, as every little sound could spoil the spell of films like The Cabinet of Dr. Caligari, Die Nibelungen or Dreyer’s Joan of Arc. In half a year’s time I saw much more than any of my today’s students see within their program – as vexing as that may be to me. In sharp contrast to the heavy silence in the screening room stood the Filmmuseum’s library, as the local librarian talked and talked, and quite loud too. We later became friends, so sans rancune. After my thesis on Visconti I drifted towards silent cinema with my film manifestation Il primo cinema italiano 1905-1945. It was then that I met Arja Grandia and realized how important it was to respect people in institutions that are not the directors, as she sternly safeguarded the patrimony of the Filmmuseum, and only allowed to negotiate within the rules. We too became friends afterwards. In the 1980s scholars and festival programmers started to discover the Desmet Collection, one of the richest silent film collections in the world. I had realized its value during my manifestation Il primo cinema italiano, during which I also discovered Italian silent film and its scholars. In 1988 Paolo Cherchi Usai, film historian but then also director of the Giornate del Cinema Muto in Pordenone, the leading silent film festival, visited the Filmmuseum’s film archive at Overveen, near Haarlem, located in the villa and a coach house on a vast estate, Koningshof. I was permitted to accompany him and thus watch countless nitrate prints of Italian silent films within the Desmet collection. Soon after I was admitted as civil servant employee at the film archive, where I worked at the coach house for five years in 1989-1994 and had various bosses: Peter Westervoorde, Peter Delpeut, Mark-Paul Meyer and Paul Kusters, while of course the ‘big boss’ was managing director Hoos Blotkamp, plus in my first years Eric de Kuyper as her artistic director. I closely collaborated with my fellow catalogers and film viewers Lisette Hilhorst, Ine van Dooren, Robert Muis, and (Jean-)Paul Kusters. But local Head of Overveen was clearly Herman Greven, who came from film lab Cineco and thus could be most critical in technical quality of the new film restorations. 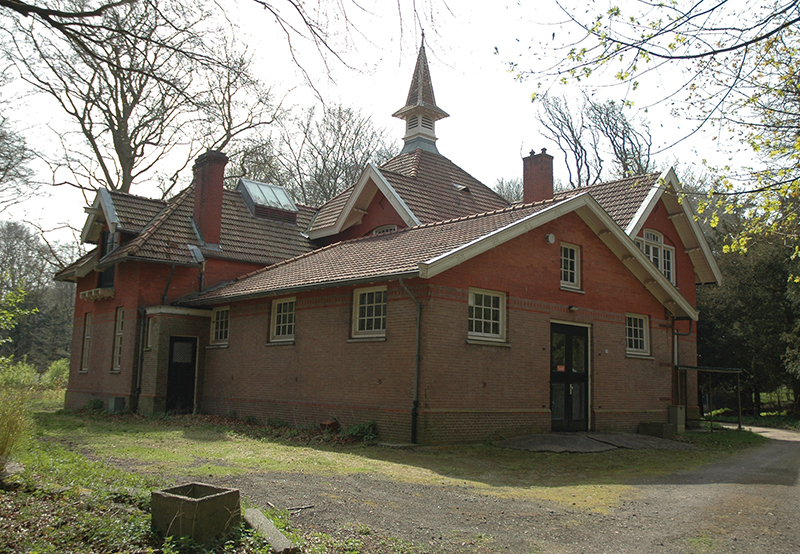 The lab that won the tender to henceforth restore the Filmmuseum’s prints, was ‘re-educated’ by Herman. In 1991 in Pordenone, Filmmuseum and Haghefilm won the Jean Mitry Award for their work. We were mighty proud. The awarding coincided with the 1991 opening of the newly restored auditorium in the Vondelpark, sponsored by VSB and thus named VSB room, but unofficially named the Parisien room, as it hosted the interior of Jean Desmet’s former cinema (now installed at the Filmhallen complex). Together with the paper archives, the library moved out to a former school next-doors, so the space became a second auditorium, sponsored by Grolsch. As the Amsterdam brewer Heineken ruled the Amsterdam bars then, it was a clever streak to attract a competitor in the lion’s den. In occasion of all this, a temporary exhibition was installed on Parisien and Desmet, while day after day parties were organised for various groups, e.g. one for the archives. Memorable was the Dutch cinema night, where forgotten star of the thirties Lily Bouwmeester gloriously entered and where I accompanied Cissy van Bennekom, “as you are accustomed to divas” I was told. Le dirigeable fantastique (Georges Méliès 1906). Especially in my first years, I had many Ali Baba moments in the archive, opening tins and finding treasures, such as the lost Méliès film Le dirigeable fantastique even used in Scorsese’s Hugo), a short with Lyda Borelli as Saint Barbara, and various up till then missing reels from features plus some onereelers in the Desmet collection. 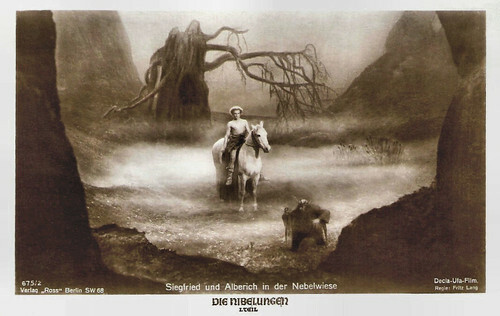 Later on, I also could see the original, sometimes tinted nitrate prints from the Filmliga collection (I recall e.g. Berthold Viertel’s film Die Perrücke), as well as the silent Joris Ivens prints (the nitrate of his The Bridge was starting to decay). I even went to Joris Ivens’s sister with Hans Schoots to show her some home movies from the twenties. Bert Hogenkamp would afterwards be involved in a large restoration project of the Ivens films, while Ansje van Beusekom did extensive research for a publication on the Filmliga, the Dutch film society of the late twenties. I was also the detective in the archive. Even if my superiors didn’t like it too much – making ‘kilometers’ of celluloid was the motto then – once a month I spent a Friday in the library researching, while I also had close contacts with many foreign specialists and created myself a network. Thus I was able to identify many titles, and occasionally I still do, in particular for Italian silent cinema. I was also always eager to accompany foreign visitors screening the nitrate prints, and thus was able to see many of the Desmet films myself on a viewing table, before they were restored or even after restoration. I could see the restored prints not only in our private screening in Overveen, where I organised lunch screenings of freshly restored films, occasionally accompanied on an electric piano (I was a lousy player, I admit) or with 78 shellac records. Apart from the screenings in the Vondelpark, in the early 1990s the Filmmuseum prints were the toast of the town at international festivals in Pordenone, Bologna (Cinema Ritrovato) and Paris (Cinémémoire). One of my favorites was Borzage’s Lucky Star, with Charles Farrell and Janet Gaynor. Musical accompaniment to silent film came to the foreground then, the Filmmuseum musicians even gave workshops, and international first class musicians made new scores for the Filmmuseum films. But by 1993 the fat years were over and money ran out. Even if I left the archive in 1994 when I got my PhD position – and just in time before a massive firing of my colleagues in Overveen – I always kept contact with the Filmmuseum/ Nederlands Filmmuseum/ NFM/ EYE (the name changed quite a few times). I had my PhD party there in 2000, I married at the EYE premises in 2002, and presented my Desmet book there in 2003. Many of my students of the Vrije Universiteit did internships at EYE, some of them work there now. I have often collaborated with projects of EYE, in particular with Rommy Albers, Head of Dutch Film and a good friend from my student years, and Elif Rongen, Head of Silent Film. My past course on film posters meant close collaborations with Soeluh van den Berg and Rob Lambers and even a joint exhibition at my university, while a course on research practice involved EYE collaborators Maureen Mens (p.r.) and René Wolff (programming). I also collaborated quite a few times with the exhibition team of Jaap Guldemond, including Sanne Baar and Claartje Opdam, and with the communication and marketing team of Marnix van Wijk and Inge Scheijde, as the inspiring and innovative cross-medial exhibitions match so perfectly the Master course I teach: Crossmedial Exhibitions. So, yes, presenting my new book at EYE seems the most ‘natural’ place to do this. Finally, after many, many years my book Reframing Luchino Visconti: Film and Art will appear this March with Sidestone Press. It is the result of a project that took more time than my PhD and my first monography together. It also partly retakes an old research of mine. On 20 March I will present the book at the Royal Dutch Institute in Rome, with a round table with Francesco Bono (Università di Perugia), Veronica Pravadelli (Roma3), Stefania Parigi (Roma3), and Matteo Lafranconi (Scuderie del Quirinale). 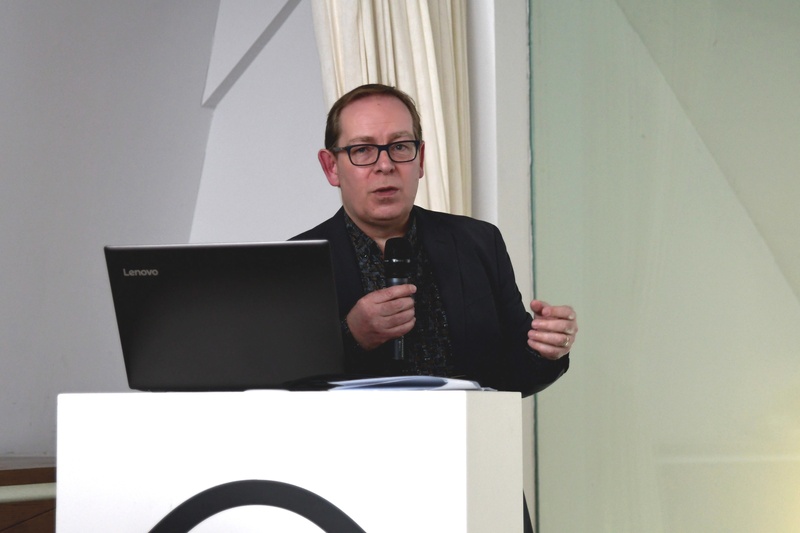 Discussion leader will be Dr. Arno Witte, staff member of the Dutch Institute and expert in art and culture. Afterwards I will present the book in homage to Caterina D’Amico, keeper of Visconti’s film heritage, Head of the Roman Scuola del Cinema (Centro Sperimentale), and daughter of Visconti’s regular screenwriter Suso Cecchi D’Amico. She will also accept the book for the three men to whom my book is dedicated: costume designer Piero Tosi, the late art decorator Mario Garbuglia, and Giuseppe Rotunno. I am very happy with the location, as I have a long history with this Institute, and thus with Rome. I first came here in 1982, when Johan Offerhaus was the Institute’s managing director. It was during an excursion within my studies of art history at the University of Utrecht. Our group stayed at Pensione Mimosa near the Pantheon while another one was hosted at the Institute. But one night we had a merry get-together there with drinks on the balcony and piano playing. I was enchanted with this place, its stylish garden, the nearby Villa Borghese park. 1982 was also the year I did an intense course language course at the Università per Stranieri in Perugia. It enabled me to discover the splendors of Umbria, but also enjoy old Italian films in the nighttime, among which Il Gattopardo. I was immediately hooked. To the Dutch Institute in Rome I came back in 1984 for my MA thesis research at the University of Leiden, which was already on Visconti and painting, and supervised by the late Nico Brederoo. Another thriving force in those years was Laura Schram-Pighi, who was Mrs. Network – her book with names and addresses was legendary – and introduced me to various Italian experts. For one course of her, I wrote an essay on the adaptation of Tomasi di Lampedusa’s novel Il Gattopardo, comparing it to the published script and the film itself. Video was in its infant state, so the only way to be able to analyze the film was to personally bring two giant 35 mm reels (the film is over 3 hours) on loan from the Istituto di Cultura in Amsterdam to the Utrecht University lab to convert it to video, probably UMatic. From there I could do a shot by shot analysis. I still cherish friends from those years, fellow MA researchers like myself such as Guus van den Hout, Tanja Ledoux, and the late Marie-José Schunck. It was Caterina D’Amico who in 1984 generously introduced me to Visconti’s former collaborators. So in addition to professors such as Mario Verdone and Lino Miccichè, I could also interview many former collaborators of Visconti, some of whom, such as Mario Garbuglia, I met even a few times. Others were e.g. Piero Tosi (whom I met at the famous Caffè Greco), Vera Marzot, Suso Cecchi D’Amico, Nicola Badalucco, Mario Chiari and Giuseppe Rotunno, some of whom I remet a few years after for a series of interviews for VPRO television, done by Marion Derksen but with my help as liaison and translator. I also became friends with Visconti’s former set photographer Paul Ronald and his wife Huguette, whose apartment in the Flaminia neighbourhood I often visited. Staying two months at the Dutch Institute in Rome made me aware of the nearby zoo, as lions roared sometimes at night, while early in the morning the squeaking trams would start their travels underneath the Institute. In 1986, while living in a rented room in an apartment, near Ottaviano (convenient with the then new metro line A), and run by a most remarkable landlady, I was extraneus at the Centro Sperimentale at the sections of directing and scriptwriting. Not being a regular enabled me to follow cinematography and editing lessons too. It brought me into contact with co-students such as Heidrun Schleef, Doriana Leondeff, Paolo Virzí, Massimo Martella, Roberta Canepa, André Prass, Claudio Antonucci, and many others. I recall auditoriums blue with smoke within an hour, students on strike, capable and incapable teachers, visits to Cinecittà across the street, and the documentary teacher adopting me as I came from the land of Joris Ivens. In the 16mm Wanda wore all black. But life for a penniless youngster in Rome wasn’t easy – the extranei were often begging regular students for mensa tickets. My film career wasn’t really taking off, despite some efforts here and there, such as a one minute film shot at the Casina Valadier, part of an amateur film course with Silvano Agosti, with future novelist and filmmaker Luigi Sardiello as my ‘scriptwriter’ and an amateur actress friend of him in the lead: Wanda. Because of art history I was thinking in symbols, metaphors, iconology, but because of Visconti also of style, architecture, decadence, decay and death. Old Europe Dies. So poor Wanda elegantly enters the frame, climbs the stairs, has a heart attack, slowly bends, falls and dies. One minute. Wanda didn’t have the Viscontian physique I wanted to turn her into, but she bravely fell down. We only had to clean her hands after every take. I had learned my lessons of reverse shots, so the editing looked good – even if we had to edit in the camera, not afterwards. Luckily I had my super-8 with me to do tests beforehand. Nasty we never got from Agosti the real 16 mm film I paid him for; he only showed it to us. The images were very atmospheric, I recall, with light filtered through the foliage. I remember endless wanderings through Rome in search of the perfect staircase I wanted, thus discovering the many faces of Rome, thanks to my Roman friends. At least that one I finished, as I also started another film project at the Centro, which collapsed as soon as it took off – promises by others unkept, lack of funds, and let’s face it: over-ambition. Trying to film a period piece within the old slaughterhouse – then a junkie paradise, now a fancy entertainment area – where we thought we could borrow one of the tourist coaches, and trying to hide our lacks by very close filming, wasn’t really a good idea. Instead at the Centro one day, I met a former fellow student from Utrecht University, Nelly Voorhuis, and we decided that work wasn’t waiting for us after our graduation – the 1980s were a poor decade to find jobs – so we should simply create it, by raising an Italian film manifestation in the Netherlands. So I did not publish my MA research then, but instead discovered the attractions of Italian silent cinema during a Dutch manifestation Il primo cinema italiano 1905-1945, organized by Nelly Voorhuis and me for the Foundation Mecano, and resulting in a book (gorgeous design), a travelling film programme, and a modest exhibition of blow-ups of diva postcards (my actual film star postcard mania may have had its prologue then). The preparation for this brought me back to the Institute in 1987-1988, and also in 1992 when Nelly and I, intrigued by the Italian divas, were trying to raise an exhibition, book and retrospective on Lyda Borelli. At that time Ted Meijer was director at the Dutch Institute. I remember him as a very encouraging, friendly man, who was eager to know about our recent visit to an opera at the Scala in Milan (my first there), as Queen Beatrix was planning to go there. Last weekend, the exhibition Alma-Tadema: At Home in Antiquity closed at the London based Leighton House, former home to the artist and contemporary of Alma-Tadema: Sir Frederick Leighton. After the modern styled Fries Museum in Leeuwarden in 2016-17 and the spacious baroque Belvedere Museum in Vienna last Spring, the exhibition reached its third and final venue in London last June. Each exhibition had its own definite character. The Dutch exhibit had a special narrative on Tadema’s houses and its interrelationships with the paintings, while a second important plotline was that of the connections with cinema, from early French and Italian cinema via the classical Hollywood of Cecil B. deMille to Ridley Scott’s post-classical Gladiator. I still think the design for the combination of film and art in the final room was a master stroke of designer Paul Toornend and Studio Louter, the company that made the slowed down film clips projected on top of the paintings (instead of on the side, as is common but often not working well). By consequence, you could decide for yourself whether you wanted to make the crossmedial connections or not. In the light of innovative ideas within museum and exhibition studies of offering the visitors multiple options to experience an exhibition, this perfectly fell in line. On the other hand, in earlier, smaller rooms, the amount of paintings was perhaps a bit large and some pictures may have been high up to see. Instead, in Vienna all paintings were at eye level, which was convenient for people, especially the elderly. Some paintings by Tadema’s family was added. Indeed, the curators and all three venues made clear that the contributions of Tadema’s second wife Laura and his daughter Anna were well worth showing too. Vienna, though, drastically reduced both the relationship with the house and with cinema. Moreover, the giant walls of the former monumental stables building of the Belvedere seemed to dwarf even the few giant paintings by Tadema, such as The Finding of Moses. The film clips were shown separately from the paintings at the end of the exhibition, in a kind of double screen projection with digital versions of the paintings, and this at a kind of dead end where you were forced to return and walk back to the entrance. In addition, the originally tinted film clips were quite a-historically turned into black and white. One wonders what would have happened, had the museum given the paintings a colour make over. What was also a pity, is that both at the opening and in the accompanying book ties between Tadema and Gustav Klimt, the Belvedere’s hero, were accentuated, but this element lacked in the exhibition. One had to walk to the main palace where the Klimts were hanging, and make a virtual connection. Finally, while Leeuwarden had a clear narrative, even accentuated by the colour scheme on the walls, Vienna had a quite loose narrative, thus presenting a more classical exhibition in which the art works speak for themselves. The London exhibition was very different from the other two, as it was presented in a former private villa in South-West Kensington, which was practically cleared from the permanent collection on display to make room for this exhibition, the biggest ever held at Leighton House, and the largest in London since his memorial exhibition at the Royal Academy in 1913. The art works perfectly matched the atmosphere of the late 19th century rich British artist home and studio. While the Arab Hall in the entrance with its little fountain made you lower your voice, the squeaking old staircase to the first floor confirmed your physical experience of walking around in somebody’s home. The At Home in the title therefore did not only relate to the art works but also to the venue. Film here was again separated from the paintings, but less so than in Vienna, as you still had to visit the grand finale room with The Finding of Moses and The Roses of Heliogabalus. The connection with cinema was well picked up in the press too, such as The Telegraph, Studio International, and Apollo, I understood. I put in my five cents myself by an article on Tadema and film in Art Quarterly, the magazine of the British Art Fund. Finally, the film connection also worked out well in a promo film, in which Gladiator costume designer Janty Yates confirmed the ties with Tadema (see the film above). Two weeks ago, I attended what was for me the symbolical closure of the project: a three day symposium at the Paul Mellon Foundation and the Birkbeck University, both in Bloomsbury, near the British Museum. Co-organized by my fellow co-curators Peter Trippi and Elizbeth Prettejohn, we first had a kind of speed dating at the Paul Mellon Foundation on Tadema & artists houses, with a series of five minute presentations, followed by ample space for discussion. The format worked surprisingly well. In the evening we all visited the Tadema exhibition at Leighton House once more (and for some speakers for the first time). The second day, again at the Paul Mellon Foundation, we had various lectures on artists houses in general. In between I had to skip a few talks, as I was finally able to meet Janty Yates in person, after I had interviewed her over the phone last year. Yates is constantly employed, often by Scott, and travels the whole world, but had a relatively quiet time last month and is based in London, so I was lucky. She once more confirmed the Tadema-Gladiator ties, but also for Exodus, and generously explained me her working methods. Of course I heard details about present and upcoming films by Scott, but those things are always ‘for your eyes/ears only’. The last day we shifted to Birkbeck University’s cinema auditorium, where Ian Christie (Birkbeck), Maria Wyke (UCL) and I had organised a programme going from Tadema and theatre, Tadema and tableau vivant, and Tadema and Pompeii films, to art direction with Enrico Guazzoni and Ridley Scott, the divine status of Hollywood stars, and Gabriel Pascal’s Caesar and Cleopatra as a kind of anti-Tadema film. In the end we showed four short Antiquity films (1908-1911) from the Desmet Collection of EYE, live accompanied on piano. All in all, we had three intense but very inspiring days, with lots of new and refreshing research coming up. The Alma-Tadema project has been an immense learning project for me, in the research and preparation, in the team work, in the pluriformity of the three exhibitions, and in the contacts with the media. Of course, the cherry on the cake was that last month we heard that the Alma-Tadema exhibition at the Fries Museum/Belvedere/Leighton House has been nominated for the Global Fine Arts Awards, a kind of Oscars in the arts world. The finalists will be announced in January 2018.